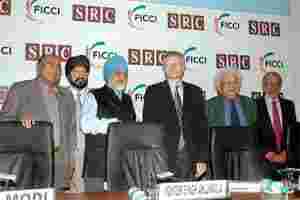 New Delhi: There is a need for promoting labour mobility in tune with flow of capital to make maximum use of human capital and developed countries need to relax their visa regime, an economist said on Friday. “There is a need for promoting labour mobility. There should be greater flexibility in the labour market in the form of liberalising the temporary visa regime by advanced countries to allow greater mobility by workers," he said. According to him, the dilemma of world politics in the present age is that countries will have to sacrifice either their national sovereignty or the democratic system in order to reach the stage of hyperglobalisation, a stage where economic and political barriers among states will disappear. He termed the idea of hyperglobalisation as not be compatible with democracy. “Markets need to be embedded in various institutions to work well. The problem of the model of the 1990s was the push for hyperglobalisation with institutional infrastructure," Rodrik said. Stating that emerging economies like India and China are very sensitive to the concept of national sovereignty, he said the shift of global power to these countries will ensure that national sovereignty will not wither away. “This will in fact be positive... Recognising centrality of the nation state will help economic growth... There is a natural limit to how far a market can expand itself and its scope is limited by the scope of workable regulations," Rodrik said. Citing the ongoing crisis in the Eurozone, he said the problem arose because while policy was being decided at the level of the European Union, politics continued to be played at the national level. “The problem arise when globalisation restricts articulation and pursuit of democratic space at the domestic level," he said.